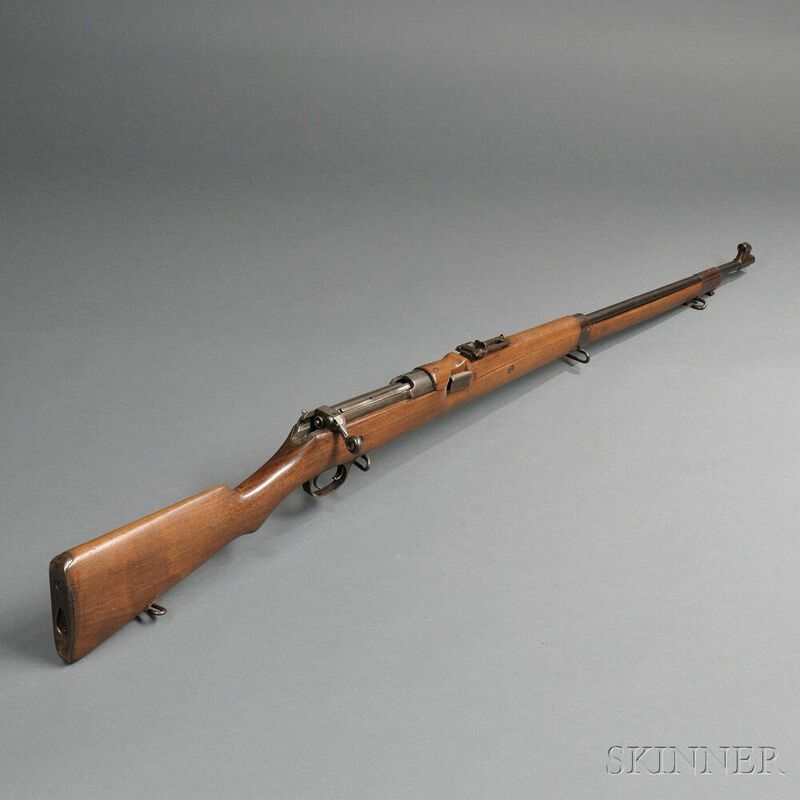 Model 1905 Ross Rifle, c. early 20th century, walnut stock, marked on left side of the receiver ROSS RIFLE CO QUEBEC CANADA 1905/PATENTED., overall lg. 47 3/4 in. Very few dings and nicks on the stock, some light rust spots on steel parts, overall in very good condition.